We didn’t think of it as abuse or discrimination. It was just the way things were. We thought we were in the wrong, so we just had to shut up and live silently (LGBTI Elder). We want to improve responses to the difficulties (including abuse and discrimination) LGBTI elders face on the basis of their LGBTI identities. A significant number of LGBTI elders who experience difficulties don’t access advocacy or complaints services (see: LGBTIsubmissionAlicesGarage). This may be due to a number of factors, including LGBTI elders not having a sense of entitlement, not feeling safe accessing Government funded advocacy services, or not wanting to further damage relationships with family members or service providers they are dependent upon. The quote above from an LGBTI Elder provides insight into how abuse and discrimination was conceptualised – the onus of responsibility was on LGBTI Elder to conform to social norms. They had no LGBTI rights and few had a sense of entitlements. To address this issue, the Tango Project is providing LGBTI elders in Victoria with an Independent Third Party (Dr Catherine Barrett) to document and address the difficulties encountered. Catherine is documenting difficulties in ways that protect the identities of LGBTI elders and is providing information to LGBTI elders on services available. Provide health and human services with feedback about service experiences. Strategies are currently being clarified and will be outlined on this page. The Tango Project was launched in October 2016 and will continue until December 2018. 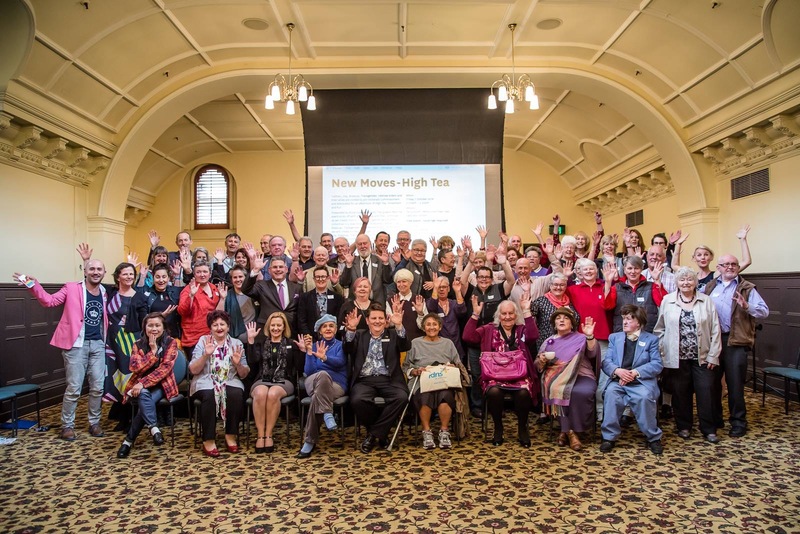 The project team is led by Dr Catherine Barrett, Director of Alice’s Garage and Ro Allen, Gender and Sexuality Commissioner for Victoria, in partnership with a group of LGBTI Elders (pictured above). A project advisory group includes a number of Victoria’s Commissioners and Advocacy Groups. Online survey: fill out the online survey by clicking here. Any information you provide will be de-identified – please call us if you would like to talk to us about how we can de-identify your information. For World Elder Abuse Awareness Day 2017 we launched a report on the first year of the project. You can read the report by clicking the link here: TangoProjectReport. 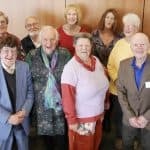 Twice a year LGBTI elders meet with Gender and Sexuality Commissioner Ro Allen to discuss the progress of the Tango Project and other matters. The group has become affectionately known as the Elders Council. If you are an LGBTI Elder (65+) and you live in Victoria you are welcome to join our next Council in November 2018. Whether or not you decide to share your story with the Tango Project team – there are a number of free and confidential legal and advocacy services in Victoria that want to hear from LGBTI elders. 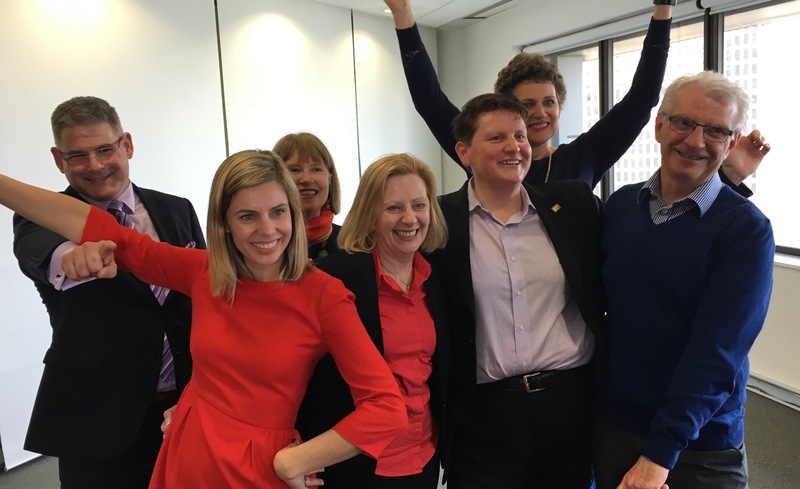 This photo below shows seven of Victoria’s Commissioners preparing dance moves for the New Moves Event for Seniors Festival – they wanted to send a message of support to LGBTI Elders. You can click here to watch the short video we produced from the event. Victoria’s Commissioners preparing for the Senior’s Festival High Tea and Dance Event for LGBTI Elders and their Allies. The Event was organised by Alice’s Garage and All the Queen’s Men to send the message to LGBTI Elders that Equality is Not Negotiable. The importance of the Commissioners reach out to LGBTI elders was highlighted at the ADA Conference in Brisbane in 2017. Brian Day OAM was introduced to Aged Care Complaints Commissioner Rae Lamb. Brian recognised Rae from the New Moves film; looked her in the eye and said: thanks for the dance. Victoria Legal Aid: Victoria Legal Aid (VLA) is an independent statutory body with a team of skilled lawyers who provide free and confidential advice and assistance to eligible people who have experienced discrimination. VLA can help you understand your rights, learn more about whether you can make a discrimination complaint, and help you take action. VLA is a safe and inclusive provider of legal services to the LGBTI communities. Phone: 1300 792 387. Website here. Given the historical relationship between the government and LGBTI Elders there is a need to build trust. We need to demonstrate to LGBTI Elders that #equalityisnotnegotiable in Victoria. It is not sufficient to say this – it needs to be demonstrated. 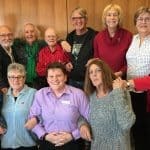 The Tango Project will seek opportunities to bring LGBTI Elders together with government representatives, and particularly with advocacy and complaints services in order to build trust. In this section of the page we will share the activities. Please also check out our Place page. 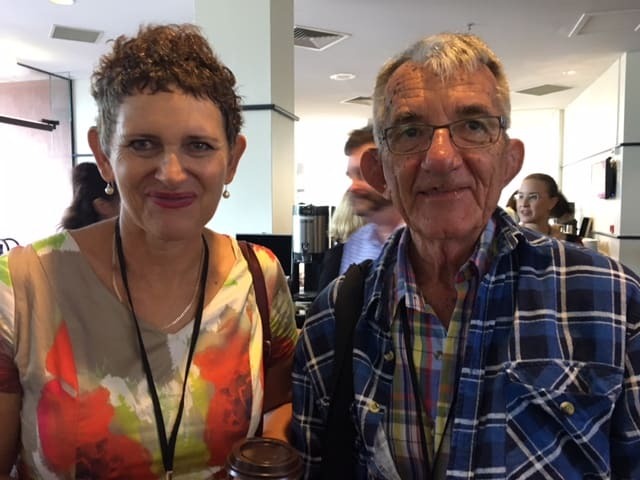 In January 2018 a workshop was held at the Better Together, Equality Project Conference – the workshop bought LGBTI Elders and Advocacy & Complaints Services together to exchange ideas about issues and services. LGBTI Elders invited services to participate in a pre-workshop audit where the Elders audited the webpages of services and provided a written report on LGBTI inclusivity. A short film from the workshop was produced to help spread the word that Advocacy & Complaints services are here to help. 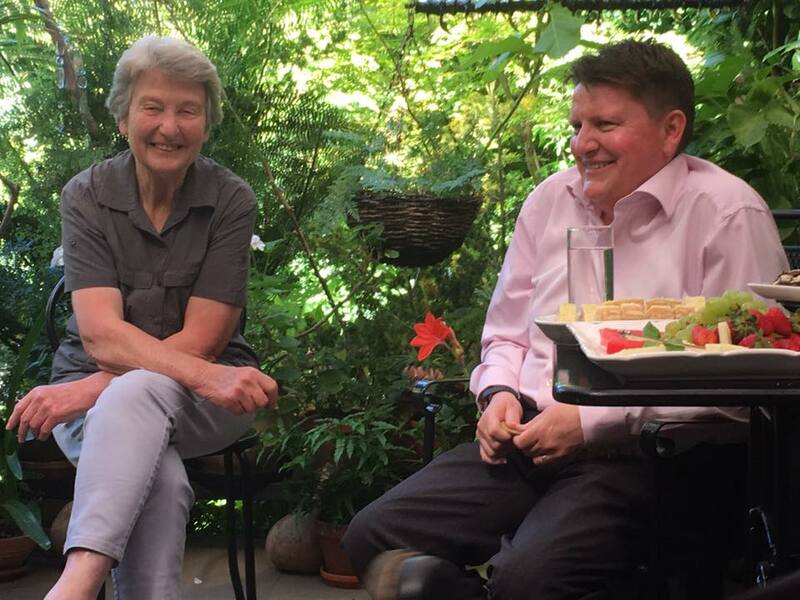 As part of the Rural LGBTI Equality Roadshow we organised a morning tea between a group of lesbian Elders in Ballarat and Gender and Sexuality Commissioner Ro Allen (below right). Feedback from the lesbians who participated was that they were grateful that a government representative had taken the time to visit. In October 2016 Alice’s Garage and all the Queens Men hosted the New Moves Event for Victoria’s Senior’s Festival. The event attracted over 120 LGBTI Elders and their allies. There were also 8 Commissioners and Advocates who came to share their message of support. Momentum for change is building (photo: Bryony Jackson).